Every year, the City of New Rochelle spends about $250,000 to collect piles of leaves and then another $160,000 to dispose of those leaves. Despite our best efforts, we do only a fair to middling job of it – depending on conditions each season, leaves might remain on the road well into the winter, obstructing traffic, blocking storm drains, and generally making a mess of things. Are there better ways to handle leaves? Well, if you look at this example from the Town of Greenburgh, the answer is a resounding yes. Greenburgh, which is similar to New Rochelle in many respects, recently discontinued the practice of picking up loose piles of leaves and required instead that leaves be bagged or placed in a container for pickup. At the same time, Greenburgh residents and gardeners were encouraged to mulch their leaves, instead of disposing of them. 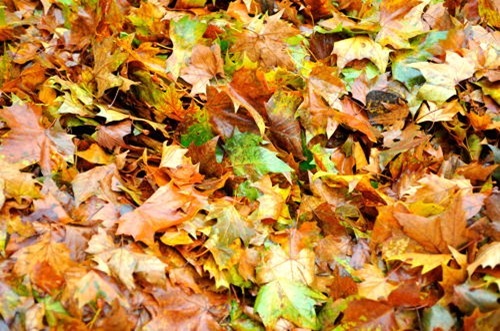 Mulching leaves in place makes for healthier lawns – and it’s neither harder nor more costly than traditional lawn care. Here in New Rochelle, this policy was recommended by the Citizens’ Panel on Sustainable Budgets back in 2012. We’ve also utilized a grant from the Westchester Community Foundation to help promote mulching. But the City Council has stopped short of suspending leaf pile pickup, recognizing that public reaction would be mixed. I think it is time to revisit the issue. As we continue looking for ways to balance our budget, requiring that leaves be bagged or mulched might be one of the few service “cuts” that actually promotes a safer, more attractive and more environmentally-friendly community – and we’d save at least $300,000 a year. Moreover, Greenburgh’s experience illustrates that concerns about a change in policy can be successfully addressed. I’ve put the subject on the Council’s agenda this month for discussion purposes. If there’s interest and enough public support, the Council could consider action later in the year. Take a look at the case study from Greenburgh and let me know what you think.